Here are some things about us that ensure we stand out from the crowd. 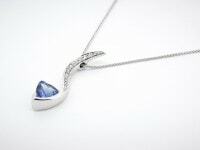 We are a family run independent jewellery retailer, established in 2001. Two further local branches were opened in 2003 and 2004 and our design studio in 2006. We have always believed in offering good quality products at an affordable price, whatever the piece. We have a strong emphasis on ensuring we deliver a high standard of customer service; always go the extra mile and put customer satisfaction above profit. By doing business in this way we have developed an enviable client base around the UK, (some having heard about us and travelling hundreds of miles!) with many returning several times and recommending us to friends, family and colleagues. Our engraver was trained by the finest master engravers and has followed in their footsteps to produce the very best hand engravings. 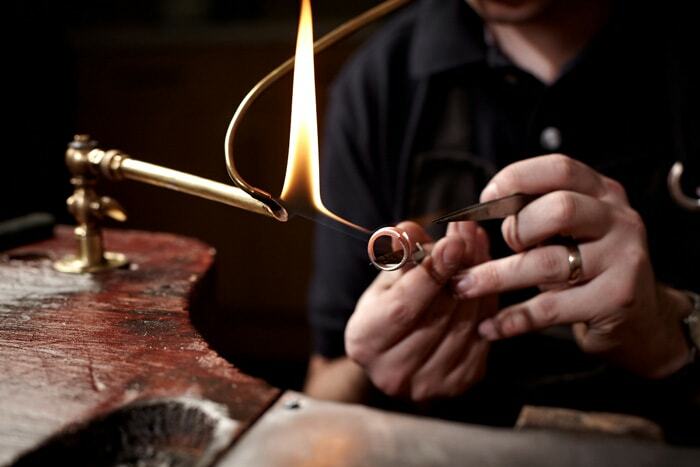 He can apply his skill, craftsmanship and generations of experience to an item which is special and dear to you to ensure it becomes an item you will truly treasure. 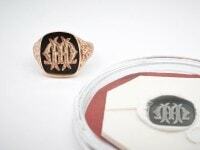 We are proud to offer a Seal engraving service. A Seal is wax impressed with a design which is attached to a document. There are no two Seals cut the same and this enables complete authenticity. 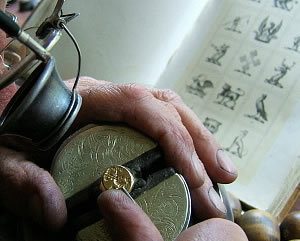 Most Seals are cut into either a ring or a desk stamp and these are used to create the impression in hot wax which seals the letter shut. The Seals are always cut into the item in reverse so that the seal impression can be seen correctly and easily recognised. We have a selection of Heraldic books so we can consult with you and help you determine your family's crest although some research may be required on your part to determine the exact crest which should be cut as a Seal. We are also able to offer a full engraving service encompassing all other aspects of decorative and ornamental engraving including the inside of your Weddings Rings or Engagements Rings, Signet Rings, Lockets and presentation pieces including trophies and christening gifts. We have a fully trained watch repairer who has been comprehensively trained by many of the leading watch brands including Rolex. We are able to offer full servicing facilities on most brands incorporating case and bracelet refurbishments and gas pressure testing. We can obtain you a no obligation estimate on all watches although it is worth bearing in mind the cost of many of the parts are sometimes prohibitive to it being repaired especially on watches that retail at £100 or less. 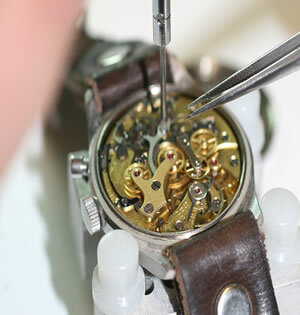 Our watch repairs come with a 1 year warranty covering any work which we have carried out on the watch. We also offer a great selection of straps to suit all watches and all pockets. We have genuine Croc, Alligator and Ostrich in a selection of colours and widths and brilliant choice of calf and embossed calf starting from £8.95. Batteries can be fitted in any of our stores with a same day collection service available on most watches. If you wish to have your watch resealed we will require the watch for roughly a week. Prices will vary depending on the make and model of the watch. 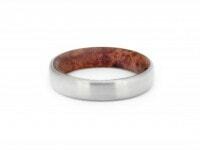 Breathe life into those tired once loved pieces of jewellery. 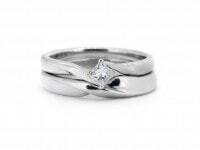 As well as designing and making jewellery our workshop enables us to offer a variety of other services including cleaning and polishing, stone replacements, re-clawing, chain rejoins and ring sizings . The same care and attention will be spent on your repair as would be lavished on one of our design pieces and all items are fully insured whilst entrusted to us. Are repairs are all fully guaranteed so why even think of going elsewhere? Whether you require a Valuation for insurance purposes or for Probate we are here to help. 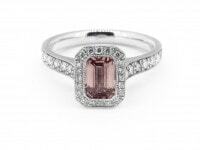 We work closely with a an NAG registered valuer who is familiar with all aspects of jewellery and jewellery from all eras. Short, mis-described valuations which are light on content and evidence are increasingly being rejected by insurers. This often occurs when making a claim and by this stage it will be too late. Don't fall foul of having your items valued by anyone who offers to do it the same day and presents it on a scrap of duplicate paper this just will not do and you will be wasting your money. Our appraisals will give a detailed breakdown piece by piece including stone identification, approx. 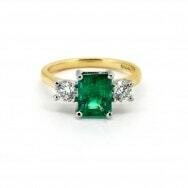 carat weights and sizes and an appraisal on the general condition along with any recommendations that can be on repairs which will need carrying out. The depth of the detail is what sets it apart and gives you the reassurance you need. 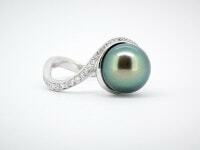 A valuation for probate purposes may be required upon the death of the owner of jewellery and other valuables, in order to be submitted to legal representatives winding up the estate. The values stated represent much lower values than for an insurance valuation, and are based upon an open market assessment of their worth at the time of death. The schedule will typically contain less descriptive detail but sufficient, making your job in sorting these matters should be your undertaking is as straightforward as it can be.